What does refinancing a home loan mean? Are you struggling with a loan that has become too expensive? Refinancing is the process of switching home loans by applying for a new loan to pay out your existing loan. There are a variety of reasons for this financial decision, including saving money, consolidating debt and increasing your loan amount. Empowered Finance can help you get better terms for the old loan and shift the debt to a more manageable place. We provide a complimentary refinance service that takes a lot of the pain out of the process. Our service involves a comprehensive review of your existing lending in conjunction with your current individual requirements. We have contacts with a large range of lenders to ensure you get the best deal possible. Talking to our refinancing experts about your refinancing needs can help us secure a deal that perfectly suits your financial needs. With a mobile service that can come to your home or office, complimentary financial advice, and zero fees, we’re ready to give you a better deal. What happens when you refinance your home loan? Lower payments – Refinancing can leave you with a smaller loan balance and more time to repay. This can allow you to pay lower monthly repayments than before. It can free up more money for your monthly expenses and allow for easier cash flow management. Save money – You can save money on interest rates by refinancing into a loan with a lower interest rate. Borrowing a larger amount on a long-term basis can give you the benefit of lower interest rates. Shorter loan term – Did you know that you can refinance into a loan with a shorter repayment period and lower interest rate? Change the loan type – Refinancing can allow you to switch from a variable rate loan to a fixed rate loan. If the rates are currently low but are expected to rise, a fixed interest rate can offer protection. Lost benefits – The current loan may have certain useful features that may be lost if you refinance. Fixed rate and variable rate mortgages have particular aspects and bonuses that may be lost if one opts for one over the other. Higher interest costs – Refinancing can involve stretching out the new loan tenure, to be paid over an extended period. As much as you may enjoy lower monthly payments, you may end up paying higher interest costs at the end of the loan tenure. Transaction costs – Refinancing can involve expenses like closing costs if you are refinancing a home loan, or origination and processing fees for online transactions. The transaction costs for refinancing can be expensive. Just make sure you will come out ahead before paying the transaction costs. The collateral used in taking the current loan will be required for the new credit. This means that you could lose your asset if you fail to make the payments for the new loan. Your debt balance may not change with refinancing. However, the debt can change if you decide to roll over your switching costs into your loan. You went through a financial situation that ruined your credit score, and your current loans have high interest rates. It could have been a medical emergency, a divorce, losing a job, or even filing for bankruptcy. Refinancing a home loan with bad credit is possible, as long as you take the right steps towards improving your credit score. Do you have a lot of equity in your home? Reinvesting the equity can help you carry out some repairs or add a swimming pool or bathroom. Refinancing home loans with bad credit is very difficult, but with good credit, you can get cash-out refinance. Refinancing allows us to assess your current interest rate in search of a better option. This may be with your existing lender or with a different lender entirely. Most lenders will allow you to consolidate multiple debts, including credit card debt, and other unsecured debt, into your existing home loan. 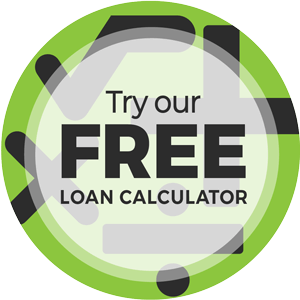 This process allows you to access lower, secured home loan interest rates. At Empowered Finance we work with lenders to facilitate necessary changes in your current loan structure such as, changing repayment types, changing loan products or loan purposes, as well as variable and fixed rate changes. We appreciate how quickly loan products and features evolve. As a result, we offer ongoing advice to take advantage of the rapid changes in the financial world. Refinancing can allow you to access the latest features that you may otherwise have not been able to access in your previous home loan. Life has a way of throwing us a few curveballs. If your situation changes and you need to change your repayment structure to reflect that, refinancing your loan can help. Refinancing may allow you to reduce your monthly repayment commitments. This can give you some much needed breathing room when times are tough. Empowered Finance is the one-stop-shop for many lenders in the Australian market. We can save you the time you would spend moving from lender to lender. Empowered Finance does not charge you a service fee. We can also link you to a lender with the most competitive interest rates for refinancing so that you can save more in the long run. We offer expert advice with your best interests in mind, to secure you the better terms for the new loan. Empowered Finance treats each case in isolation, listens, and recommend a refinancing option that can give you more value.